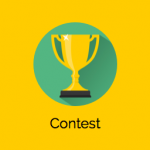 The Voting Contest plugin gives you the ability to quickly and seamlessly integrate an online photo/video or audio contest feature into your niche social network website. Use Photo Contest plugin to engage a large number of potential members to visit and sign up to your social website. Contestants will share their Entries with family and friends to gain more votes, it will increase traffic on your site. Voting Contest Plugin Version 1.6 is release Change log: + Compatible with 3.0.2 + Compatible with MooApp 1.2 Please go tohttps://moosocial.com/product/voting-photo-contest-plugin/ to see detail. When will the contest plugin be compatible with the new mobile app 1.2?? Craig Thanks for sharing the link, I didn’t think they would update the post with the new release dates. We are on final testing, we will try release on end of next week. Irfan Korai Kent Lam end of next week mean more 15 days?? Craig The original post says May 31. Is that still correct?? Issues with uploading a header image for a contest. I can&apos;t upload a photo on mobile app or website. Ryan Nguyen Are you getting any errors? Voting Contest Plugin Version 1.4 is release Change log: + Fixed some layout bugs for working with 3.0.x Please go tohttps://moosocial.com/product/voting-photo-contest-plugin/ to see detail. Voting Contest Plugin Version 1.3 is release Change log: + Support moosocial version 2.6.0 Please go tohttps://moosocial.com/product/voting-photo-contest-plugin/ to see detail.